Chocolate Tap is a mouth-watering game for chocolate lovers. 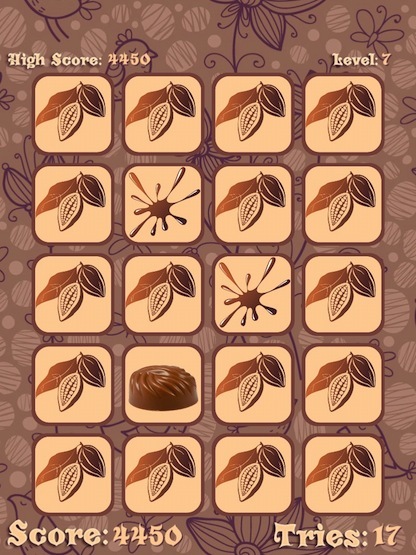 With almost 250,000 downloads, Chocolate Tap is a matching game with a twist. Choose from 4 different delicious decks - chocolates, donuts and coffee, cupcakes, and desserts. Chocolate Tap has unlimited levels and exciting dynamic challenges - try to keep up as your chocolates lock, mix up, and try to trick you.